Balancing a sweet tooth with a healthy eating plan can prove a struggle for many people, particularly when you walk down your average supermarket aisle. With protein becoming such a hot topic over recent years, every product seems to boast how much it packs in per serving – tricking unsuspecting consumers into purchasing something that may not be as good for them as it appears. While snacks and the gym often don’t go hand-in-hand, protein bars have created a bridge between the health-conscious and those who struggle avoiding the junk food aisle. Created primarily to help people meet their recommended protein intake, protein bars have muscled in to fill a good chunk of the health food aisle of your local supermarket, but with all claiming different health benefits, it’s enough to make you lose your appetite. In this Canstar Blue article, we’ll look at whether or not you actually need to add protein bars into your diet, and which ones may help you on your way to your dream bod. Are protein bars good for you? For the most part, fitness and protein go hand-in-hand, particularly if you’re looking to pack on the muscle. But as protein bars still fall under the ‘supplement’ category, they are simply a substitute for real food, meaning the more real food you have in your diet, the better. Like other supplements, protein bars can be a good option for those looking to get a protein hit while not having to go to the effort of making and eating a full meal. But as handy as they are for a protein hit, protein bars can also be packed with carbs and fats, so it’s important to read the nutritional information before you gobble one down. The bottom line is that protein bars are healthy so long as you don’t solely rely on them as your food source, and they fit into your body goals. After all, there’s not much point loading up on protein bars with a high sugar or fat content when you aren’t getting to the gym, or are looking to lose weight. As much as we’d like them to be, protein bars aren’t a shortcut. Do I need to incorporate a protein bar into my diet? Protein is essential for not only increasing muscle mass, but ensuring your body properly recovers after a workout. And while protein may seem firmly in the realm of bodybuilders and professional athletes, it is essential regardless of whether you hit the gym every day or every other day. The average person needs around 0.8-1.2g per kilo of body weight, and more if you’re physically active. As a result, finding enough protein in your average diet can be a tough ask, unless you enjoy eating meat for every meal. As a result, plenty of people turn to supplements in order to meet their protein intake, with protein bars no exception. While it may not be essential, if you’re looking to hit the gym more regularly, a protein bar is a good first step to increasing your protein intake, and it fits in your bag a whole lot easier than a shaker! What should I look for in protein bars? As the name suggest, protein bars should include a decent chunk of protein in them. Most protein powders have between 20-30g of protein per serving and, ideally, so should your protein bar. But as protein bars are aimed at those looking to get a protein hit as well as take care of a sweet tooth, you’ll have to be careful of the sugar and fat intake, as they may outweigh the health benefits. Information sourced from protein bars, November 2018. One of the more well-known low-carb diets, the Atkins brand offers protein bars through supermarkets, pharmacies, as well as via the Atkins website. Available for single purchase as well as packs of five, the Atkins protein bar comes in a variety of flavours, including chocolate, choc chip cookie, peanut butter granola and lemon vanilla. If you’re only after a single bar, you can pick one up for around $4, depending on the store. While the bars are made to fit in with the rest of the Atkins diet – and are split into ‘meal’ and ‘snack’ bars – they are one of the best options if you’re looking for a low carb snack, although you’ll have to keep an eye on the fat intake, which is one of the highest amongst the brands in the table per serving. Available at supermarkets and pharmacies, the Aussie Bodies protein bar range is quite diverse, giving shoppers plenty of options if you’re looking to find the best one for your lifestyle. Options include the popular Lo Carb range, as well the Arvo, HPLC and Protein FX range, each with a different breakdown of nutrients. The Arvo range may help fight off a slow afternoon, while the HPLC and Protein FX ranges will be more for those looking to build up muscle. If you’re really looking for a protein hit, the Protein FX Super bar contains up to 25g of protein per serve, although you may have to watch out for a decent hit of carbs and fats as well. 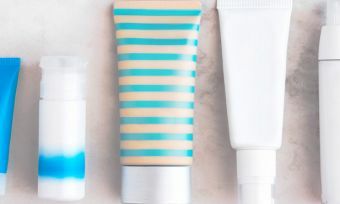 The Aussie Bodies bar range will cost you between $3 and $5 per bar depending on which variety you go for, as well as which retailer you go through. Generally available for single purchase only, Aussie Bodies Lo Carb bars are also available in packs of 4. Using all-natural ingredients, Blue Dinosaur differentiates itself from the rest of the pack by providing a cleaner option for those conscious of what they put in their body. Providing protein bars in packs of 12, or selling individual bars for around $5, Blue Dinosaur bars are available in chocolate, peanut butter or coffee flavours, with up to 25g of protein in each bar. Despite the natural ingredients, it’s best to keep in mind that each bar also provides 10g of both fats and sugar, so might not be the best option if you’re looking to slim down for summer. Blue Dinosaur also offers Super Bites for those looking for something smaller, with the 30g snack available in choc, espresso and passionfruit flavours, while coming in packs of 18. Paleo bars are also available, coming in packs of 12 in flavours such as apple pie, lamington, banana bread, wild apricot and blueberry, giving consumers plenty of options to choose from. Blue Dinosaur bars can be purchased online, or can be found via a list of all stock providers shown on its website. Offering all things fitness, BSC – otherwise known as BodyScience – has a number of bars for consumers to choose from, all of which are available either through the BSC website or from your local pharmacy or supermarket. BSC’s bar range includes the Clean Bar, Low Carb and Muscle Bars, each for individual sale, or packs of 8 or 12. The Clean Bar is best suited for those looking to live an all-natural life, including natural and vegan-friendly ingredients, and is available in banana bread, choc lamington and lemon cashew flavours. The Low Carb variety is additionally available in plenty of flavours, including cookie dough, choc mint, rocky road, apple pie and strawberry shortcake, while the Muscle Bars is available in peanut butter, salted caramel and vanilla choc chip. Reasonably priced per bar at around $4, BSC may be a suitable option for those who haven’t ventured far into the protein market, but are still looking for a good split between protein and carb intake. Primarily available for purchase through ALDI, Hillcrest offers gourmet protein bars in flavours such as salted caramel, choc cherry or almond and mocha. In traditional ALDI fashion, individual bars aren’t for sale, with Hillcrest bars coming in packs of 5, making them a handy option for those looking for a snack for the working week. While they might not be the bar to turn to if you’re looking to put on some size, Hillcrest does provide a different take on the protein bar if you’re more used to muesli or granola bars. You’ll have to be careful though, as Hillcrest does have the highest intake of fat out of all bars listed in this article, meaning it may not be the best suit for those on looking to stick to a strict diet. While maybe not a household name, International Nutrition Co. (INC) is an Australian-owned company that offers products for all your protein needs. More focused on powder supplements, INC additionally offers a number of bars, including the Muscle Deluxe and Shred Max Pro varieties. While there isn’t much variety in terms of flavours, both options provide a decent hit of protein, with the Shred Max Pro option a handy bar to have if you’re looking to shave off those extra kilos. Available at both Chemist Warehouse and My Chemist locations around Australia, INC is one of the cheapest options available, usually costing under $3 per bar, meaning your summer bod won’t cost you your wallet. Not the first brand you’d think of when it comes to protein, Mars has turned to an additional protein hit to give sweet-tooth Aussies an excuse to pick one up. Available from supplement stores, or at your local pharmacy, Mars protein will set you back around $5, depending on which store you visit. In comparison, the Mars protein bar has fewer calories than the traditional Mars bar, with nine-times the protein, as well as around half the fat and half the carbs, meaning it’s definitely a healthier option. While it may be leaps and bounds ahead of the traditional bar, the Mars Protein bar still has the highest sugar intake of the brands listed – meaning it still has a way to go if it’s to be considered a ‘true’ protein bar. While not guaranteed to make you ripped, they may well be worth searching for if you can’t say no to sweets. Well-known within the supplement industry, Musashi offers plenty when it comes to getting your protein hit, including powders, bars, as well as drinks. If you’re after a protein bar, Musashi has you covered, offering a number of options, regardless if you’re looking to bulk up or slim down. Available at supermarkets, pharmacies and online, Musashi bars are available for individual sale as well as in packs. Musashi’s range includes the Protein Wafer, Deluxe, Shred & Burn, Mass Gain, High Protein, Low Carb and its Growling Dog range. Not for the faint-hearted, Musashi’s bars are generally bigger than most – with some closer to 100g – and are one of the more expensive options on the market, generally setting you back over $5 depending on which bar you scan through the checkout. But if you’re looking for a big protein hit, or breakfast and lunch is too long for you to go without a snack, then Musashi may be the brand for you. Arguably the biggest name on this list, Optimum Nutrition has long been a trusted brand for supplements, offering plenty of options for all body types and goals. In addition to powders and recovery products, Optimum Nutrition offers bars, including the Protein Crunch Bar, as well as the Protein Stix, each available at pharmacies and supplement stores. Costing around $4 per bar, both the Crunch and Stix varieties are also available in packs of 9 and 12, handy for those really looking to get their diet in order. Providing one of the lowest carb and sugar intakes without sacrificing protein, Optimum Nutrition may be the first option on your shopping list if you’re looking to get the most out of your protein bar. 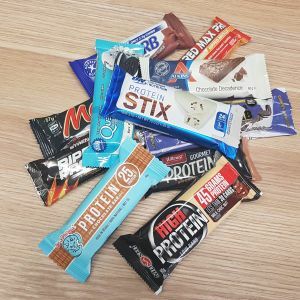 Quest bars are often seen as a staple in the protein bar industry, with plenty of intriguing flavours filling supermarkets and chemist aisles. Priced at under $4, Quest bars are also middle-of-the-road in terms of price, while also providing one of the lowest sugar intakes amongst the listed brands. Available for single purchase and boxes of 12, flavours include birthday cake, blueberry muffin, chocolate chip, cookies and cream, mint chocolate, as well as rocky road, meaning there is plenty of variety for those who are partial to something sweet. If you’re not sold on its protein bars, Quest also offers a number of protein cookies, with all products additionally available for purchase via Quest’s website. Another Australian brand, Vital Strength offers a number of supplement options, including powders, drinks and bars, as well as merchandise and recovery products for all stages of your workout. Available for individual sale – costing around $5 – as well as packs of 16, Vital Strength is available online through the Vital Strength website, as well as at your local chemist or health food store. Offering the lowest calorie count of the bars listed in this article, Vital Strength’s range includes Lo Carb, Whey Clean High Protein, as well as Ripped Protein, giving shoppers options for bulking up and slimming down. While you might not be blown away by the range of flavours, if you’re looking for a protein bar with a good balance between the good and the bad, Vital Strength may be what you’re after. Where can I buy protein bars? With the sharp rise of the health and fitness industry over recent years, you won’t have to go far to find a protein bar, with supermarkets, chemists, health food stores and supplement stores all stocking a wide variety of brands and products for you to choose from. Similarly, protein supplement companies additionally offer protein bars via online stores, meaning you can order a box of protein bars from the comfort of your own home. If you’re really stuck for a protein hit, some gyms also sell bars and shakes, making it easy for after your workout. Are protein bars worth it? Protein bars are a handy addition to your diet if you’re looking to increase your protein intake without having to cook another meal every day, with the quick-and-easy protein fix a godsend for those pressed for time. But many can often find a way to get their recommended protein intake without turning to supplements, meaning whether or not you start stocking up on bars will come down to your personal preferences, budget and body goals. Just make sure you consult a doctor or health professional before making any drastic changes to your diet. If you’re looking to go hard in the gym, then having a protein bar an hour before your workout can help give you the edge over your PB. But having a protein bar while vegging out on the couch might not give you the summer bod you’re dreaming of. After all, hard work pays off, and as much as we’d like them to be, protein bars aren’t a magic solution to our fitness dilemmas, although adding one to your diet may help you on the way to your goals.